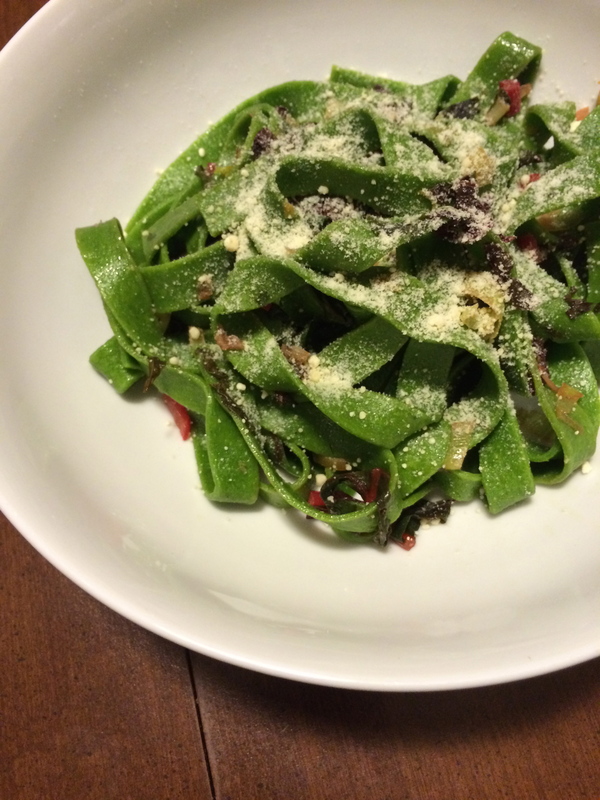 the greenest pasta – wine.dine.repeat. The week before thanksgiving is a tough one for eating and cooking. You are likely anticipating just how much eating and cooking is in your immediate future, which fuels a desire for quick, easy comforts as you prepare for those ultimate kitchen hours ahead. 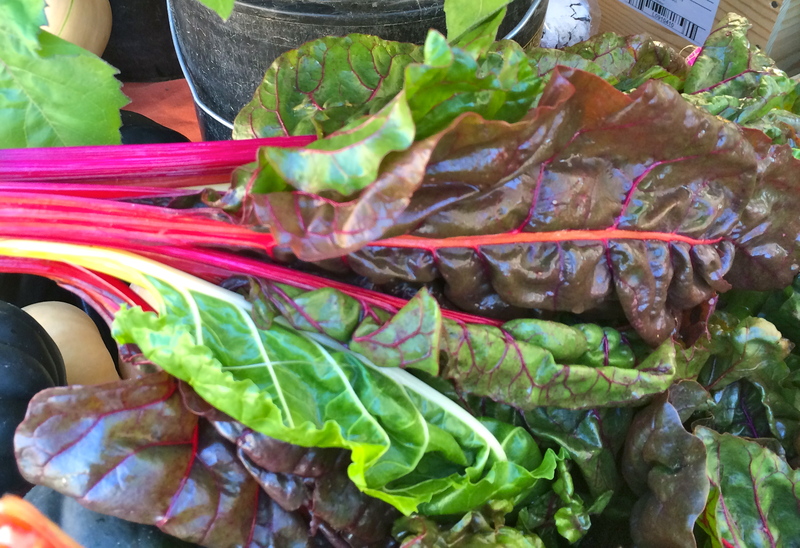 Also, if you live in a place where the farmers’ markets basically shut down completely as winter arrives (like in say, Massachusetts), you are probably stocking up on what’s left of the fresh produce before it all but disappears. This dish pairs the need for ease with some remaining market treasures. 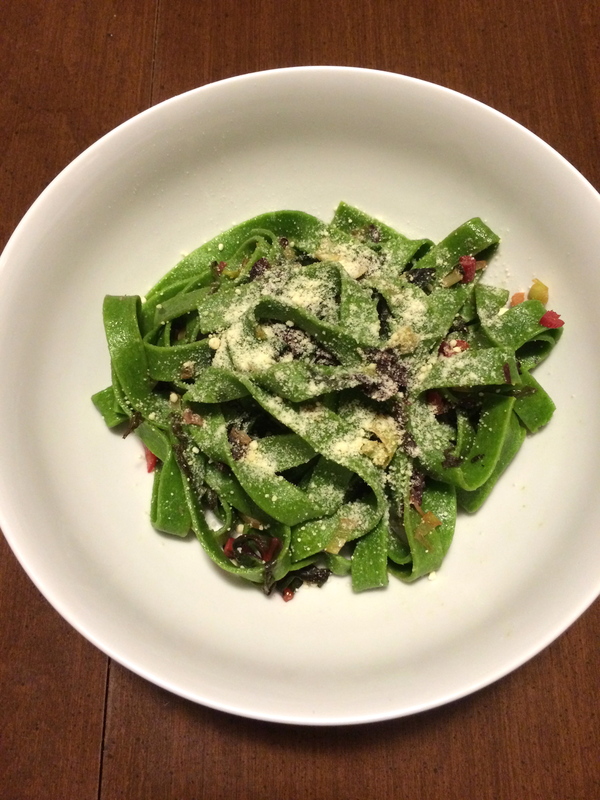 With sliced and sautéed swiss chard, some leeks, and fresh spinach pasta; you get to feel like you’re eating your greens even though you’re also getting the treat of hearty carbs. And naturally there is a healthy topper of parmesan cheese for good measure. *If you want to be bold and make your own pasta, check this recipe out. If you are following my pre-thanksgiving laziness guidelines, grab fresh pasta that someone else made, ideally someone local. Don’t be afraid to use ravioli or tortellini either. The more cheese the merrier. 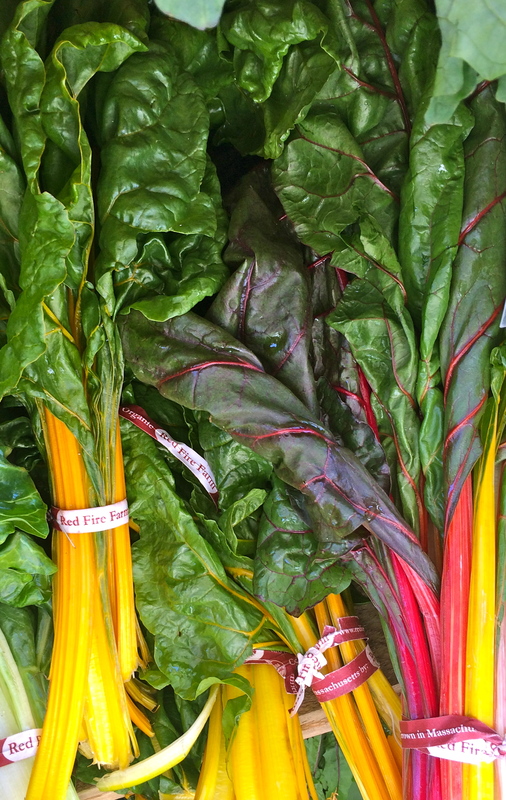 Remove the leaves of the swiss chard from their stems. Cut in small strips, and dice the stems in small pieces. Over medium heat, melt 2 tablespoons of butter and sauté the diced leeks and swiss chard stems for 3 minutes or until softened. Add in final tablespoon of butter and the chard leaves and cook additional 3 minutes. Add stock to the vegetables and turn up heat slightly to reduce into a sauce. If you’re feeling indulgent, throw in a little more butter. Cook until liquid reduced to your preference and remove from heat. Add salt and pepper to your taste. 4. Cook pasta (fresh pasta usually only needs to be boiled for a minute or so) and add directly into the sauce pan. Over low heat, stir pasta with chard and leeks until combined. Top with parmesan cheese and serve immediately.